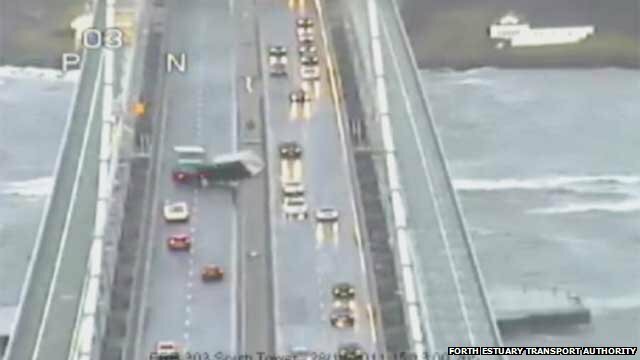 A lorry driver whose trailer blew over on the Forth Road Bridge has been severely criticised for ignoring high-wind restrictions. The bridge's operators said it was lucky no-one was killed in the incident two weeks ago. Footage of the German lorry driver's escape was captured in a video posted on the internet and by CCTV.